From hot air balloons rising with the sun to the mild, sunny climate enjoyed year-round — adventures abound in this Southwestern city. Albuquerque is New Mexico&apos;s metropolitan center, boasting entertainment options, world-class cuisine, shopping and nightlife. The city also offers up a dramatic landscape full of parks as well as hiking and biking trails to inspire the outdoor adventurer. At the end of the day, the Sandia Mountains serve as the perfect backdrop to the city&apos;s stunning sunsets. From its Native American and Hispanic roots to its red and green chiles, Albuquerque is an authentic destination that also happens to be affordable. So, what are you waiting for? Start planning your trip today! 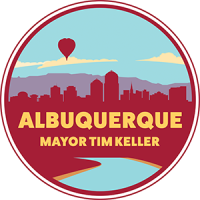 Whether it's your first visit to Albuquerque or you're a frequent visitor, our beautiful Visitors Guide is the best resource for all you need to know about events, attractions, dining and shopping. Learn about all the city's art galleries, museums, sporting events, food trucks, fine dining, live music and cultural performances. Then get out there and make the most of what Albuquerque has to offer!